There is a wide variety of different cartridges out there and the technology continues to change, but to my knowledge no cartridge I’ve ever owned has vibrated in my mouth—until now. 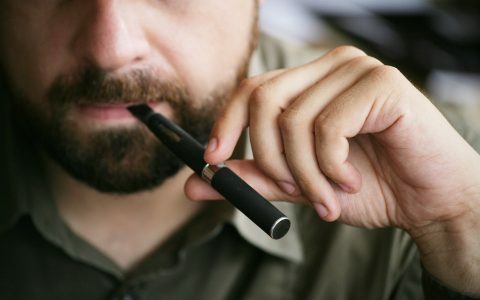 When I grab a vape pen and hold it to my lips and it goes off like a Sonicare possessed, I’m forced to ask myself, “Is this enhancing my cannabis consuming experience?” And if so, why? To find out, I recently put the IndigoPro’s Advanced Vapor System to the test. This new proprietary cartridge system boasts three times the vapor…but does that mean it goes through oil three times as fast? The IndigoPro includes a minimalist carrying case with a foam cutout for the battery and a library of IndigoPro cartridges. Its battery is 320mAh, which is about 40mAh higher than standard variable voltage batteries. (Think of milliampere hours, or mAh, as the size of your battery’s fuel tank.) The unit comes in indigo (naturally) and graphite colors, and has a beautiful octagonal finish that is sleek and buttonless. Included with the case is a micro-USB charging cable to get you up and running. There isn’t a logical place to put this cord in the provided case, which seems like a missed opportunity, but IndigoPro still has a few design tricks up its sleeve. What Does the IndigoPro Do Well? 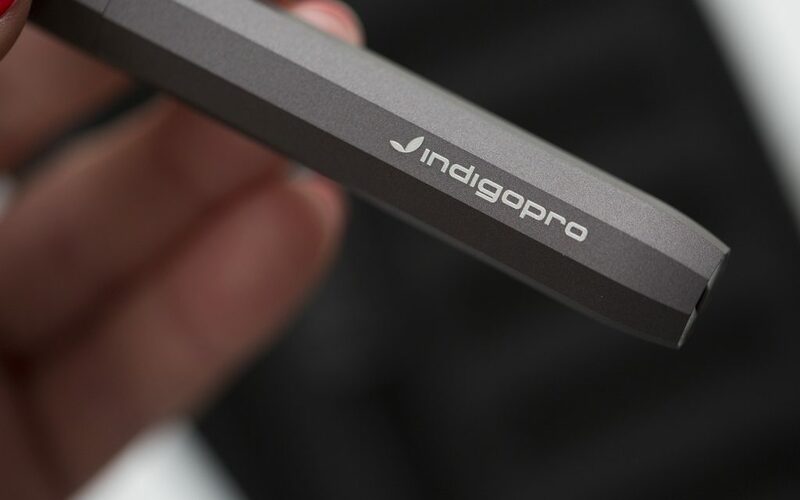 After getting acquainted with the IndigoPro, I’ve come to appreciate some a few aspects of its design and functionality. The IndigoPro’s draws are airy but firm, accompanied by the aforementioned mouth vibration. I don’t know whether or not it’s three times the vapor, but I find myself coughing more because the hits are so large. These voluminous hits definitely get me lifted. 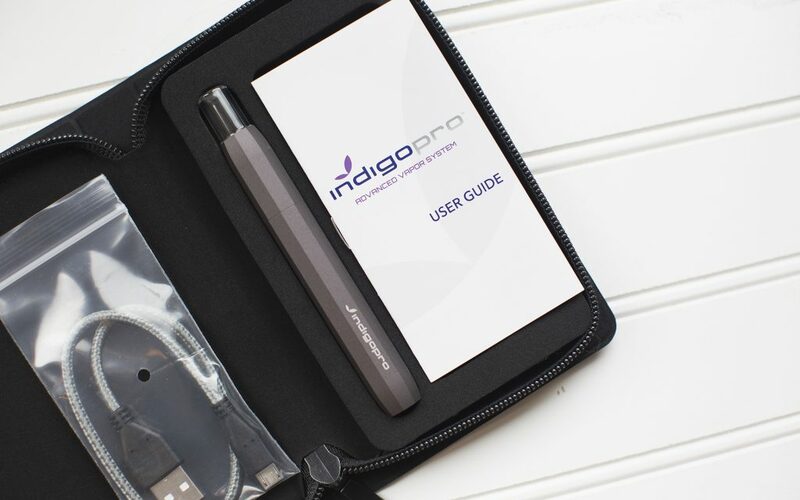 While the high is the part of the cannabis-consuming experience that stays with you, the technology powering the IndigoPro experience shines as well. Its use of USB charging, for example, is a must for all future vaporizers—USB technology is so ubiquitous nowadays, it’s practically a no-brainer when designing a highly functional, easy-to-use vape pen. Another unique technical feature is how the unit’s vibration is used as a battery indicator. While the vibration may seem like a bit of a novelty, embedding functional elements like this shows some design foresight—removing buttons eliminates the anxiety of accidentally turning on the vape pen in a pocket or depressing a button and cooking the cart oil off while walking or sitting down. It’s an aesthetic win as well, keeping all the solid lines on the body of the unit intact to give the battery its sleek, clean exterior. Speaking of design, IndigoPro’s cartridges are conveniently color-coded to help jog a consumer’s memory, but this method can get challenging the more a person buys into the IndigoPro Advanced Vapor System. For example, if I’m an indica-only type of dude and have all purple-tipped carts, how do I figure out which strain is which? This hurdle aside, the coloration is beautiful and representative, which can be a guide post for the average consumer. Unfortunately, cartridge availability is a bit of an issue depending on the market you’re in. IndigoPro’s CO2 cartridges with natural, cannabis-derived terpenes are available in some locations, but not in Seattle (where I live). 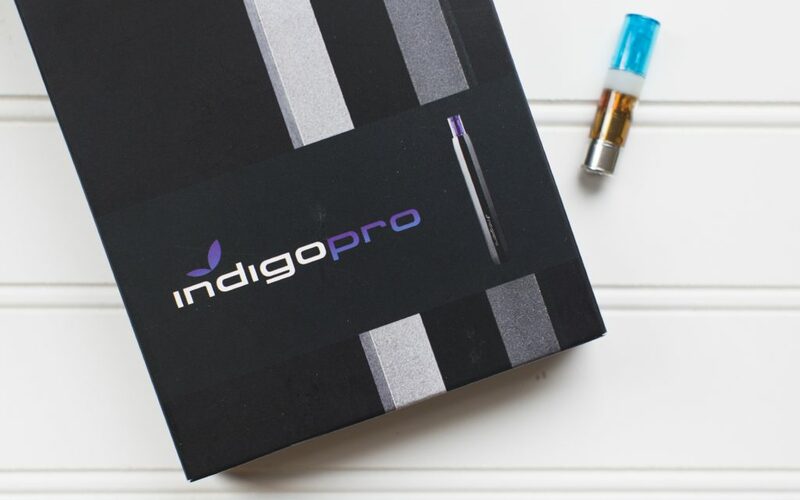 It’s a bummer that these cartridges are out of reach in my area, but I am glad to hear that consumers have choices within IndigoPro’s proprietary cartridge ecosystem. 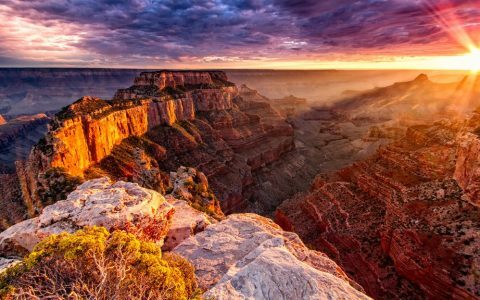 Where Could the IndigoPro Improve? As slick as the IndigoPro is from a design and tech perspective, there are some areas of improvement. The pen uses a proprietary magnetized cartridge that does not fit with any other vape pen. While IndigoPro boasts “magnetic, leak-resistant ceramic cartridges,” I’m frustrated by the technical limitations just so the cart can vibrate and magnetically attach to the battery. These design flourishes look and feel good the first couple of times using the unit, but the novelty does not outweigh its limitation. As I mentioned, another frustrating drawback is the lack of labeling on the cartridges. 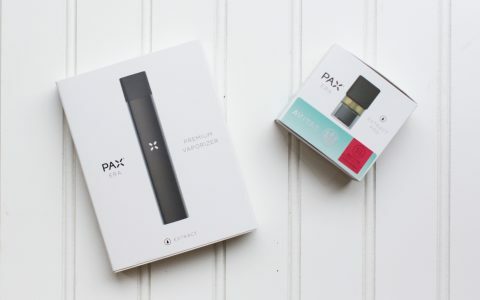 This problem has only recently been addressed by Pax and its Pax Pods, but as a cartridge consumer with carts for different occasions, labeling is almost priceless. IndigoPro cartridges are as expensive, if not more expensive, than your standard cart, and it’s nice that they create a lot of vapor, but from a consumer standpoint, that could also mean a lot of waste. Even with a standard vape cartridge, I’m not holding each hit so long that I exhale nothing. With each hit I leisurely exhale the vapor (and cannabinoids) that didn’t get absorbed in my lungs. Force-feeding a bunch of vapor into someone’s lungs might please consumers looking for fat clouds, but it doesn’t make a dollar’s worth of cents to go puffing cannabinoids you’re inevitably wasting. While the the cartridges have a fancy design and novel function, the contents of the cartridge is really where the story’s at. 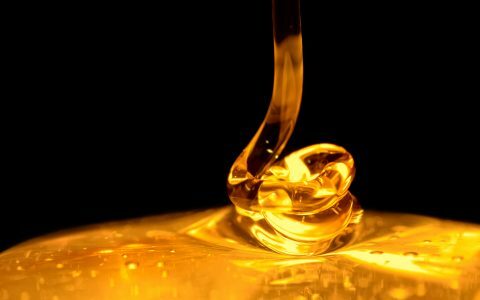 Distillate, as many cannabis consumers know, is a potent, mostly flavorless concentration of a strain’s primary cannabinoids. 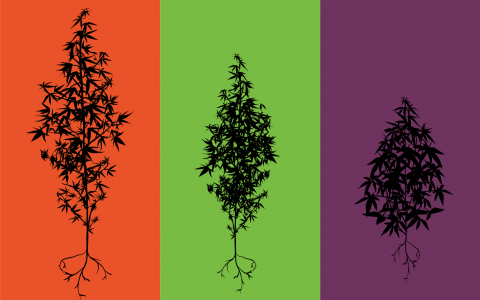 Because distillate is almost entirely flavorless, many companies see this as a blank slate to create new and intriguing flavors through the introduction of botanical oils that don’t originate from the cannabis plant. While some consumers don’t mind the artificial taste of these botanical elements and are just stoked on the high-octane punch of distillate, consumers like myself can find the flavor to be off-putting. 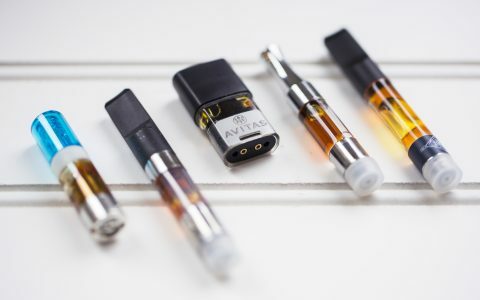 These distillates are also sold as strain-specific, even though they contain little to no cannabis-derived terpenes that truly define a strain’s flavor, effects, and overall uniqueness. Who Is the IndigoPro For? In my opinion, the IndigoPro is for heavy-hitting vape consumers looking for massive pulls of potent concentrate. 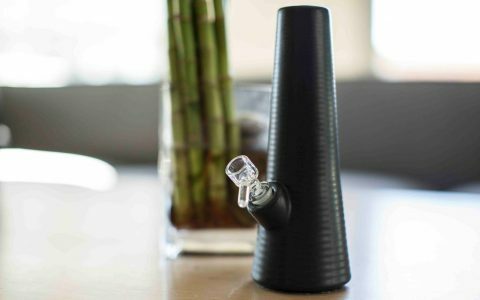 If you’re not a big fan of the way cannabis tastes and you’d rather have a flavor-injected experience with sugar plum, blackberry, or whatever your preferred characteristic may be, the IndigoPro might be right up your alley. Truth be told, the IndigoPro isn’t the device for me. The mouth vibrations and magnetic mouthpieces just weren’t enough for me to invest in a whole new cartridge ecosystem. Other consumers might have different feelings, however, and I encourage them to share their opinion—what do you think about the IndigoPro? yeah but how clean is it? it looks brown like the use different chemicals. It’s extremely clean…by far cleaner than any other method of smoking/vaping I’ve tried. Interesting vape! Haven’t heard much about this one yet! We’ve seen other vibrating vapes such as the hmbldt dose pen (now rebranded as dosist) and the AirVape Xs. AirVape just launched their improved AirVape X version which now handles both flower and cannabis concentrates. Still a fan of the pre-filled vape cartridges though! I have tried all kinds of pens and this is by far my favorite one. I love the big easy pulls which is huge for my asthma! The vibration is weird but not offputting. I’m a fibro patient and this thing is never leaving my sight! This is the best vape that comes with cartridges, I have tried others and the indego pro is far superior in my opinion. Tru dat. It’s a (expensive) pain. My girlfriend and I live in Colorado. We have had an IndigoPro for over a year, and we absolutely love it. We really like the slight vibration when pulling because it’s an indicator that everything is working properly and helps us time the length of our hits. And the battery lasts a couple weeks without having to recharge it. And recharging is incredibly simple: just plug the pen into any USB-A cord. We find the magnetized cartridges to be extremely convenient because I like one flavor while my girl likes another. With the heated pen I would have to unscrew one cartridge then screw in another one…not a huge deal, but definitely more time-consuming than simply pulling one cartridge out and dropping another one in. It takes less than 5 seconds. As icing on the cake, the free case the pen comes with conveniently holds the pen and 5 cartridges. It’s not fancy, but it does the job perfectly. 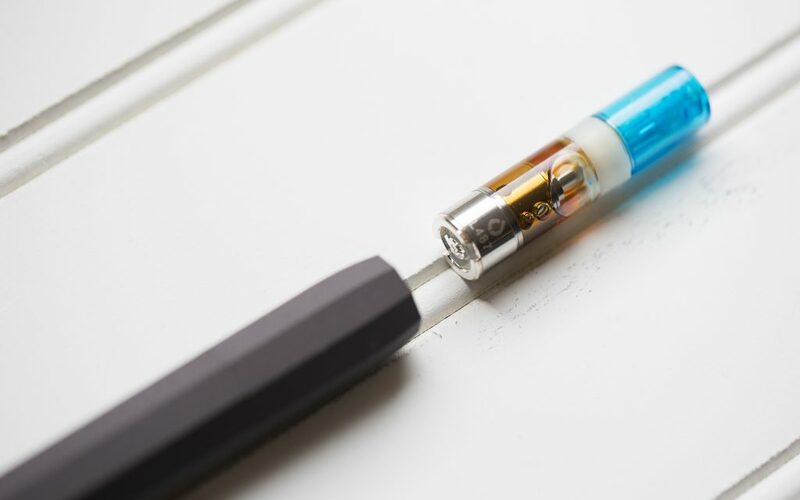 On the negative side, the only issue we have experienced is sometimes towards the end of a cartridge we have to draw hard a few times before the pen will vibrate to vaporize the oil. I’m not sure why this happens, but it can be frustrating. After a year of use, we love the IndigoPro…for us it’s light years better than any other way of smoking/vaping THC that we have tried. Admittedly we haven’t tried a ton of options, but we didn’t have to because we were fortunate to buy the IndigoPro early on. This pen works great for a bit then it stops working. When it happened to the first pen, I went to exchange it and the shop of course didn’t do exchanges, but did offer me a deal on another indigo pro, still expensive, but a deal is a deal. But guess what same thing happened to the second one about 4 months later. Super annoyed and totally bummed out because it was a good pen when it worked.